I recently gave an impassioned article on Canadian Running about how much I hate winter running. I had written it the day after the worst run of 2015 where the wind froze my fingers, it was dark and blizzardy outside and I was just plain grumpy. 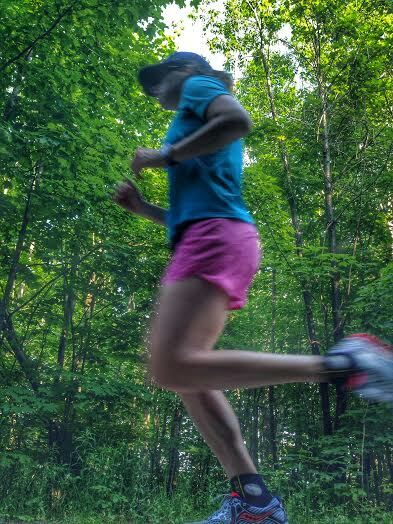 The funny thing is, although I love running with all my heart, that love stems from being outside and TRULY outside. It is why I have always loved the trails more than road and why my love for running plummets the moment I need to do it indoors. Give me a trail or a compass and bushwacking and I am as happy as a clam. The day after I wrote the article, I spent the morning racing the Frosty Trail Run at a local trail and I had a blast. The air was crisp, the snow was fresh and the sun was shining. I think that is the operating word for me. The SUN. I don’t love cold dark winter running, but I adore fresh, sunny snow runs. This past Sunday, I spent the morning on the trails with one of my biggest trail heroes and we did a solid 16 KM that started at sunrise and it kept getting warmer and warmer. We were the only ones out and it was amazing. THAT is winter running. The ice, bitter cold, dark running? 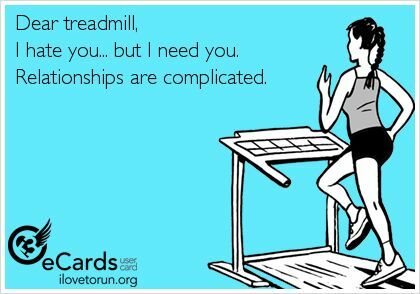 I will leave that to others and resign myself to the dreadmill. I thought I would chat about some resources I have used to make winter running safe, enjoyable and bearable. 1. I skip the long runs outside if there is a chance of frost bite. If the sun is down, I don’t bother. It is possible to do long runs outside, but I used to snowboard much more than I do now and gave myself a nasty frostbite that likes to resurface. 3. Wear ski mitts. My fingers get bitterly cold in the winter and I find that ski mitts are the only thing that work. Smaller running gloves work for mid-season temperatures, but I have yet to find a good winter running glove. 4. Remember that you will be slower in the winter. Your stabilizers are working overtime because of ice and snow. 5. Do your intervals indoors. Running hard and resting for 2-3 minutes in the bitter cold is not a fabulous idea. 6. Layer. I wear like three shirts when I go out for my long runs and remember to tuck at least one of them in. That winter wind will get you wherever it can! What are your cold weather running life hacks? Ski mitts are my saviours too! As I ready now for the -18 windchill. Sadly I have to always go in the dark unless it’s the weekend. But I too need the air , so it’s better than the alternative. Such great tips!! And the screw shoes.. I have definitely heard that one a few times on the podcasts I listen to. I wonder if the same is recommended for high heels and heeled boots… I’m terrified of falling when I’m walking from my car into work some mornings! YES to tucking in a shirt. Far too many times I have come home from a run with a completely red stomach that BURNED LIKE HELL. Can winter be over yet?? Also – I miss you. We need a date. STAT. Ugh – the red stomach. The only thing worse is frozen hands! And YES to a date. I am in Toronto in a couple weekends – burritos? I’ve never seen the screws in the shoe idea, cheaper than a lot of the options you can buy out there. Totally agree with moving intervals inside! It’s difficult to dress for that AND you have to watch for ice so running full speed is not a great idea. It is cheaper and it makes such a huge difference. I find I do not fall near as often! 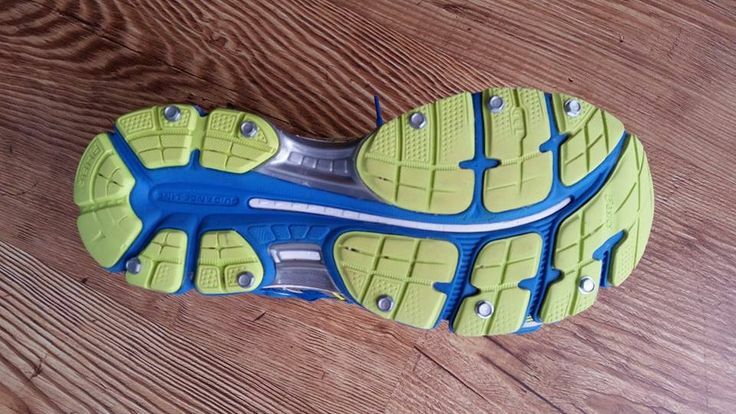 I like the screws in the shoes better than Yak Trax. And totally true about the mitts. My hands are always cold no matter what. Rawr. Love the winter growl. Is it summer yet? I confess I have been struggling to run long in the cold. It is always a battle of wills to get out there this time of year! What is this bushwacking business? It sounds exhilarating. When I’m home, indoors hanging out and not running, during the winter, I wear two pairs of socks and I tuck my pants into the second pair. It’s hot.. I also have one undershirt which is fully tucked as well, along with arm warmers and a host of other layers. In fact, I probably wear less layers when I run outside. Oh well, I never claimed to be rationale.